The most appropriate and effective packaging is a big influence on the consumer when purchasing, and it is often a critical factor on the decision-making process when deciding upon a repeat purchase, making this an important consideration for brands when electing a packaging supplier. Specialist in the production of grinders, Miniland New Concepts packaging solutions add significant value to the final product, optimizing both the package and the packing processes of its customers that in turn benefit the consumer. Professional chefs have long recognized the difference in flavour to a dish by using freshly ground spices and consumers are keen to replicate their favourite dishes at home, relishing in the personal satisfaction of copying the professional techniques seen in the production of a delicious meal. "Pursuing the efficience and effectiveness of the products we create" is the company philosophy, which is clearly demonstrated by the subtle differences between its products, enhancing ease of use, offering better size formats and more. We caught up with Germán Sempere at Miniland New Concepts in order to get his impressions of the packaging market these days and learn how Miniland fits in. The company is at the forefront of several emerging trends. 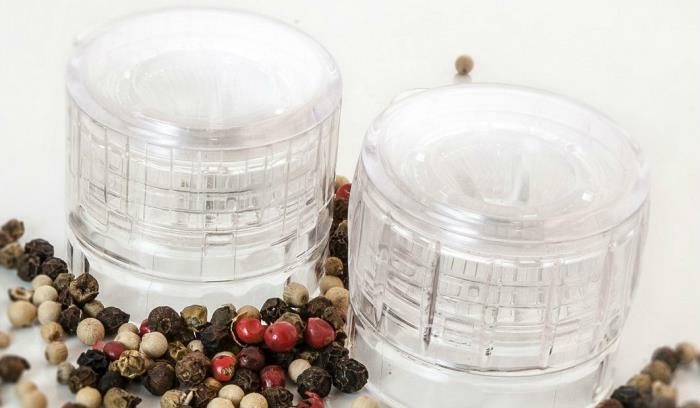 Miniland New Concepts launches its new XXL Grinder for spices and salts expanding its range of mills. This new grinder format stands out for its large capacity (300ml - 340ml) and size. Miniland offers a wide variety of customizable grinders characterized by their optimum performance, thanks to continuous research in materials, the state-of-the-art engineering design of each component, and the application of laboratory methods that permit the manufacture of top-quality grinders.